NEHA offers many resources to help you become a Certified Professional Food Manager. The course material can be learned in a classroom with a NEHA Food Safety Instructor, by reading the textbook, or online. 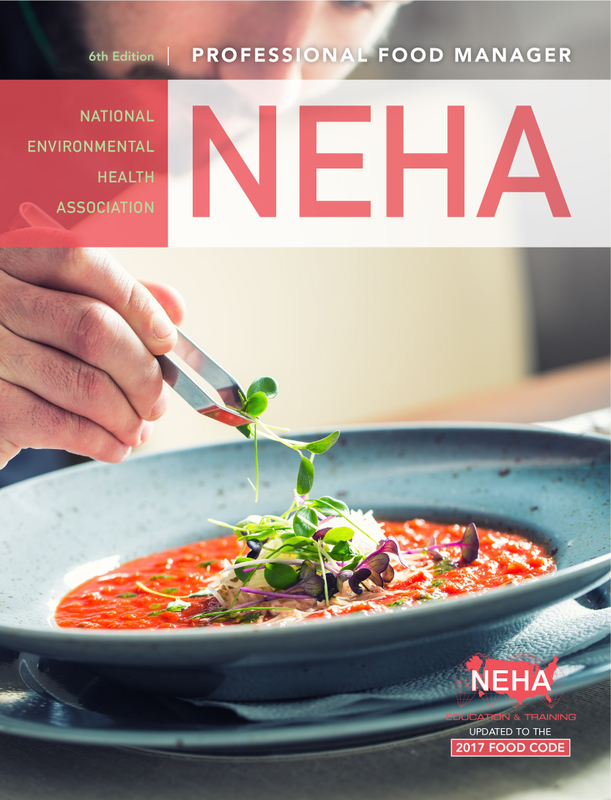 NEHA's Professional Food Manager, Sixth Edition supplies culinary and hospitality professionals and students with the knowledge they need to pass the Conference for Food Protection/ANSI-approved exam. This textbook provides the food protection manager with everything they need to ensure the continued successful execution of food safety best practices in the workplace. The Sixth Edition is updated to the 2017 FDA Food Code and can help those who want to become certified. NEHA’s Food Safety Training program maintains a network of hundreds of Registered Food Safety Instructors spread throughout the globe that provide training and assist us in protecting public health. NEHA Instructors work in health departments, schools, college, universities, military installations, restaurants, hotels, as independent consultants, and in other sectors related to food safety. NEHA certified trainers must pass a CFP-ANSI exam or possess a REHS/RS or CP-FS credential. To take the Professional Food Manager exam in your area, please find a local Proctor.